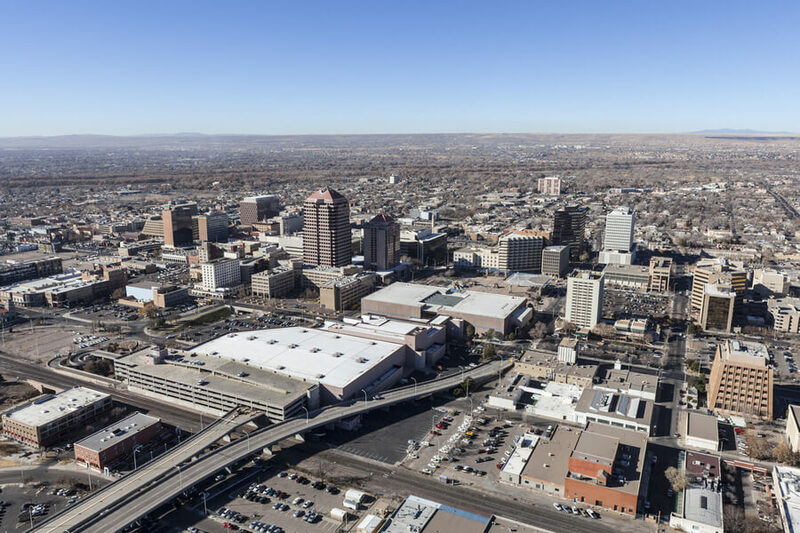 The Evolution Group, located in New Mexico’s largest city, Albuquerque, is a private outpatient counseling firm which offers treatment to individuals ranging from adolescents and adults to families, couples, and seniors dealing with substance abuse issues and co-occurring mental health disorders (such as anxiety, depression, etc.). The facility began in 1998 and has since utilized a holistic method of treatment for clients, addressing their physical, spiritual, mental, and emotional needs. The center offers an evidence-based approach to treatment in a tranquil, recovery-appropriate setting and provides assistance for people dealing with co-occurring disorders, sexual addiction, and compulsive gambling. Individuals dealing with chemical dependency or substance abuse problems are provided with support and care by a treatment staff consisting of a psychiatrist, clinical supervisors, social workers, acupuncturist, and staff counselors. These patients undergo comprehensive evaluation and treatments are tailored according to their individual needs. Additionally, the center offers a parenting program, spanning 18 sessions, which teaches parenting skills for the benefit of the child. The facility also provides a recovery-based program called the Integrity Recovery Program and a special treatment program for compulsive gamblers. This Integrity Recovery Program is well structured, intensive, and designed by a patient and their therapist. The program is recovery-focused and emphasizes the need for mental wellness. Clients taking part in this program undergo therapy—group, individual, and/or family—and 12-step recovery programs. Additionally, this program also provides mindfulness and meditation strategies, dual diagnosis support, and gender-specific groups. The Compulsive Gambling Treatment Program is a needs-based recovery program which is designed by a treatment team to suit the specific needs of each client. Clients may participate in the Intensive Outpatient or traditional outpatient program if recommended by staff. The program incorporates recovery-focused activities including 12-step recovery and various models of therapy. The Evolution Group costs vary greatly depending on the type of treatment and level of care a client requires. The facility operates on a sliding scale basis which means that payment for treatment is calculated based on the household income of the patient. The average duration of a lengthened stay can go up to one year. Clients are advised to contact the facility for more information on payment and admission. The facility understands the importance of family and loved ones in the role of recovery and as such offers family and couples counseling. This program occurs regularly throughout treatment for clients. What separates Evolution from numerous outpatient facilities is its integrity recovery approach and accentuation on focusing on treatments in a socially touchy manner. Gay and Lesbian people, Spanish-speaking people, Native Americans, among different groups, will get treatment at a facility that understands addiction struggles and will create an environment that encourages a speedy recovery. With an impressive number of treatment alternatives and a sliding scale payment plan, individuals can begin the journey to sobriety under the wonderful New Mexico sun. Clients seeking a facility that offers holistic therapies with a spiritual approach as well will find The Evolution Group to be a good option. Daniel has over 20 years of experience working with individuals suffering from mental health and substance abuse issues. He is passionate and specializes in helping individuals going through anger issues, domestic violence, and focuses on teens of divorce, wilderness therapy, CBT, Humanistic therapy, couples therapy, and more. Doetta loves eating food, watching movies, listening to music, and completing puzzles for relaxation during her past time. She is passionate about creating a safe space for therapy and keeping an optimistic attitude. Ilse holds a degree from Pitzer College in psychology and also from the University of New Mexico in Counseling. She has over 8 years of experience working with individuals suffering from substance abuse and mental health disorders. She is passionate and specializes in treating mood disorders and co-occurring issues.